Castor and Pollux are bright stars belonging to the constellation Gemini and are part of the dozen bright stars that light up the winter sky. They represent the heads of the twin which were actually half brothers as stated in mythology. Located 34 light years away, Pollux is a magnitude 1.14 orange coloured star, It has a diameter of 9 or 10 times that of our Sun with a surface temperature of 5,000 C and cooler than our Sun‘s 5,600 C.
One of the best examples of an open cluster is M35. 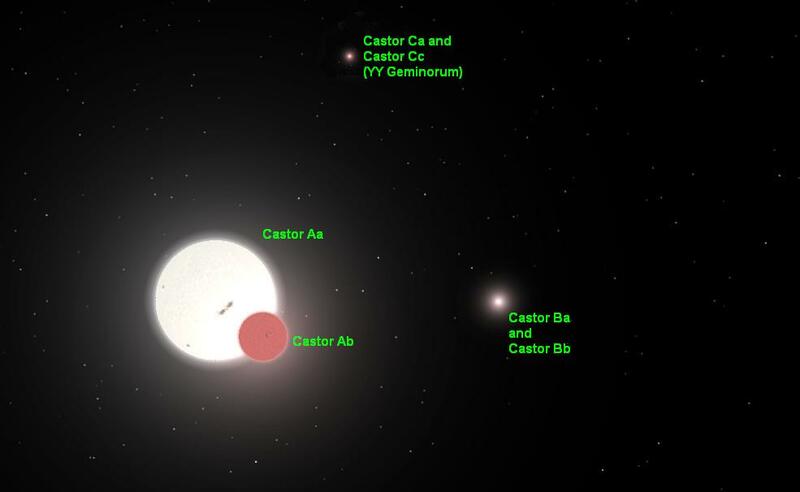 Found near Castor’s foot, this group of 200 stars glows at magnitude 5.2 and is a fantastic object in binoculars. When viewed with a telescope, the tiny cluster NGC 2158 is now revealed. 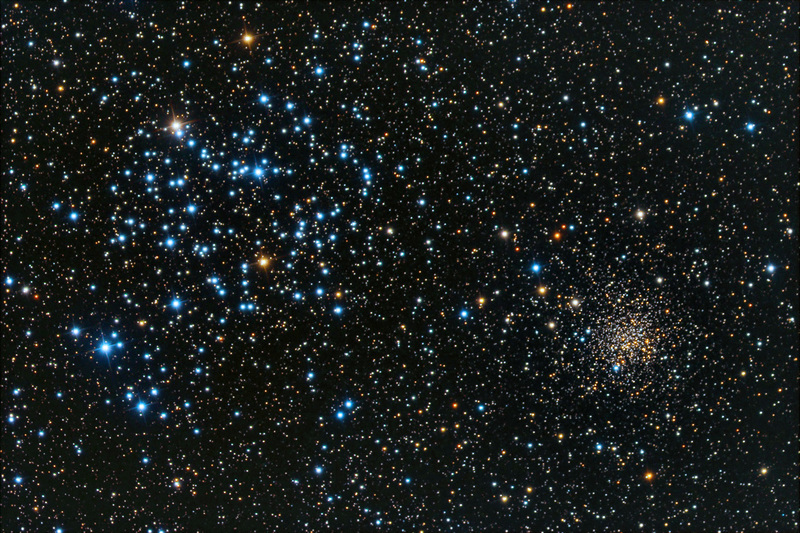 M35 is located 2,800 light years away while smaller NGC 2158 is four times farther from us. The brilliant duo of planets Venus and Jupiter continues as Venus (brighter and left side of the two) keeps sinking to the south-eastern horizon on its way to rounding the sun in its orbit. Venus passes the planet Saturn on the morning of the 18th. Jupiter on the other hand is steadily climbing higher and rises just before 4 a.m. on February 1 and after 2 a.m. on February 28. Mars is still visible low in the western sky after dark moving from Aries to Taurus and is much fainter than its summer time show. It passes one degree north of the planet Uranus on February 13.